American Elements specializes in producing Tellurium as flat irregularly shaped pieces of material in a varying range of sizes. Most flakes/prisms are produced from cast ingots for use in coating and thin film Chemical Vapor Deposition (CVD) and Physical Vapor Deposition (PVD) processes including Thermal and Electron Beam (E-Beam) Evaporation, Low Temperature Organic Evaporation, Atomic Layer Deposition (ALD), Organometallic and Chemical Vapor Deposition (MOCVD) for specific applications such as fuel cells and solar energy. Thickness can range from 0.003" to approximately 2mm for all metals. Some metals can also be rolled down as thin as 0.001" for use as an evaporation source in microelectronics, optics, magnetics, MEMS, and hard resistant coatings. Piece sizes are available up to approximately 7" maximum width. Maximum lengths of about 20" can be obtained with a nominal thickness between about 0.005" and 0.020" for thin film deposition on glass or metal substrates. Materials are produced using crystallization, solid state and other ultra high purification processes such as sublimation. American Elements specializes in producing custom compositions for commercial and research applications and for new proprietary technologies. American Elements also casts any of the rare earth metals and most other advanced materials into rod, bar, or plate form, as well as other machined shapes and through other processes such as nanoparticles and in the form of solutions and organometallics. 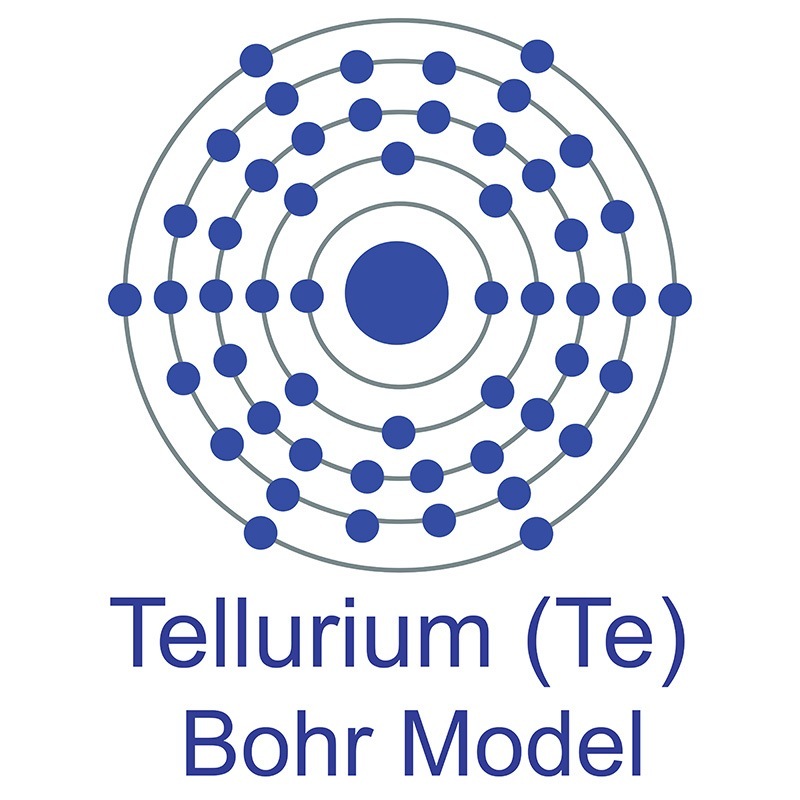 We also produce Tellurium as rod, pellets, powder, pieces, granules, ingot, wire, and in compound forms, such as oxide. Other shapes are available by request.